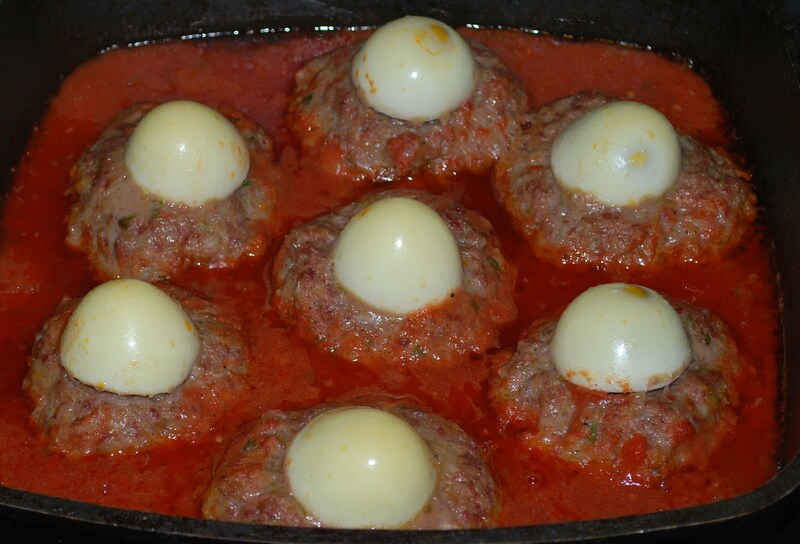 In this traditional recipe from South Ossetia we show how to make meatballs in tomato sauce topped with a hard boiled egg. The dish is also popular in Shida Kartli region (Georgian: შიდა ქართლი). 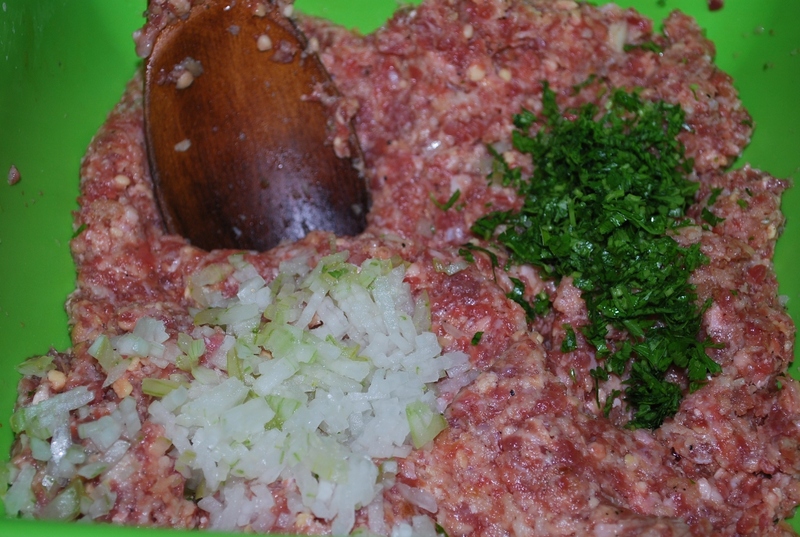 Ingredients for meat balls: 600 grams of minced beef, 2 eggs, 200 grams of white bread, 1 level tsp of Summer Savoury, 1 heaped tsp of black pepper, 200 ml of milk, 4 tbs of oil, 10 grams of parsley, 1 onion, and salt (amount dependent upon personal preference). 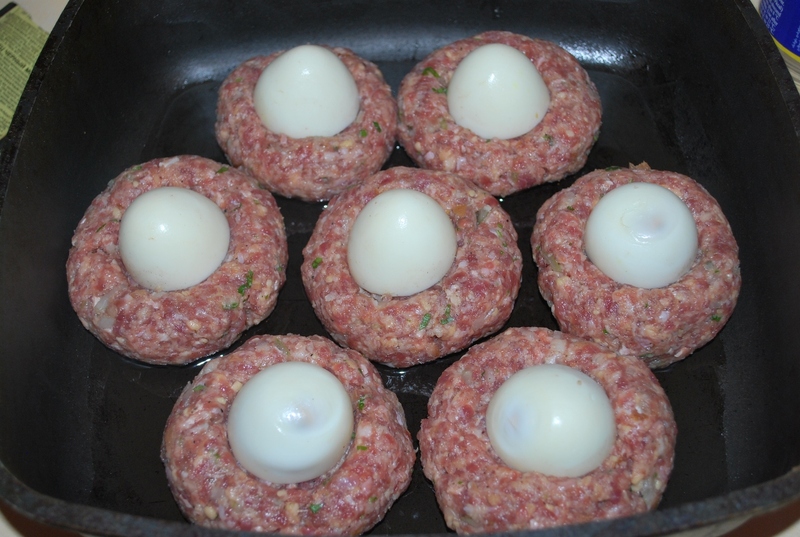 And 4 eggs for topping the meatballs. 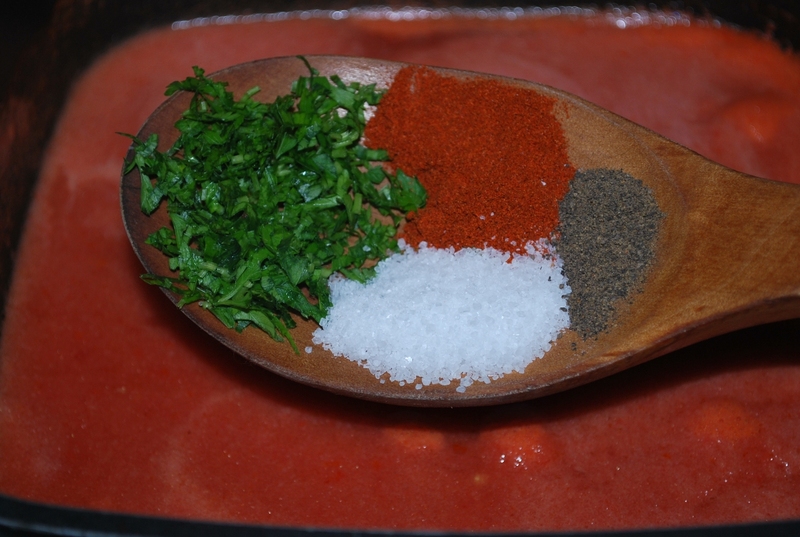 Ingredients for sauce: 5 juicy tomatoes, 40 grams of butter, 1 heaped tbs of white flour, 10 grams of parsley, 1 tsp of red pepper (or 1 thinly sliced hot red pepper), half tsp of black pepper, and salt (amount dependent upon personal preference). 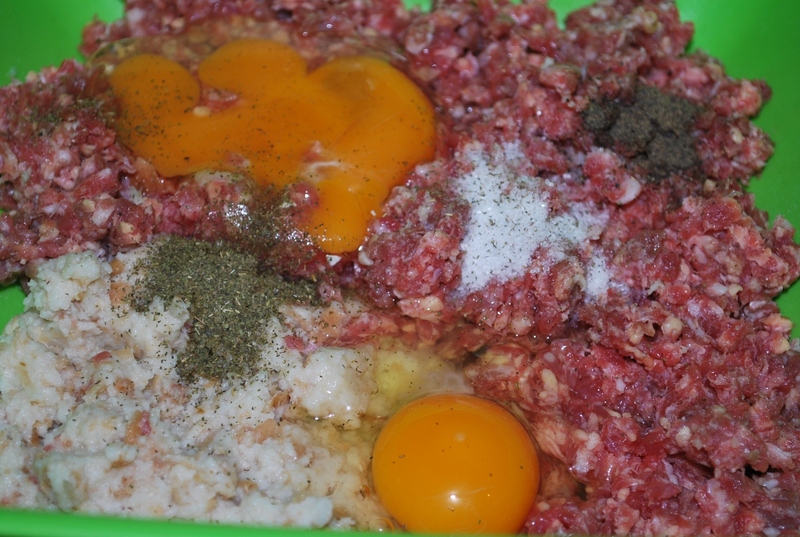 Preparation (meatballs): Add 200 grams of white bread to a mixing bowl. Add 200 ml of milk and allow the bread to soak for 2-3 minutes. Firmly squash the bread to remove the milk. 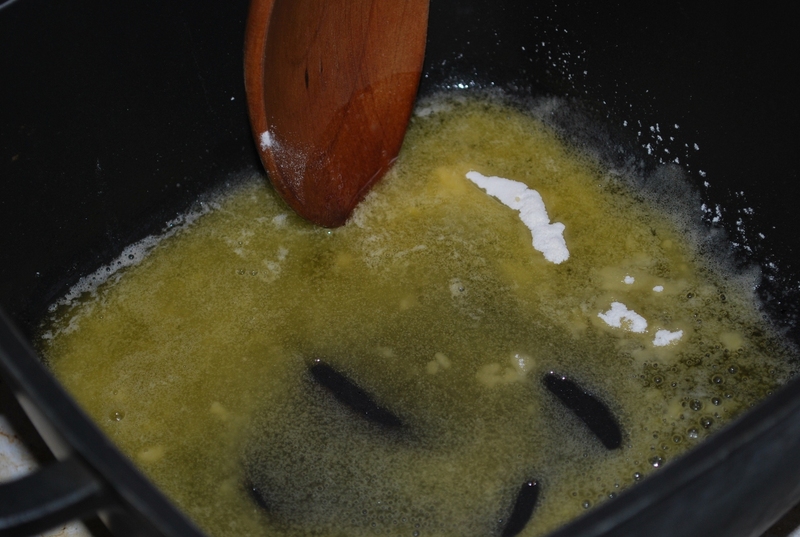 Add the milk soaked bread to a new mixing bowl, together with 600 grams of minced beef, 2 eggs, 1 level tsp of Summer Savoury, 1 heaped tsp of black pepper, and salt (amount dependent upon personal preference). Mix thoroughly. Finely chop 10 grams of parsley and 1 onion and add to the mixing bowl. Mix thoroughly. 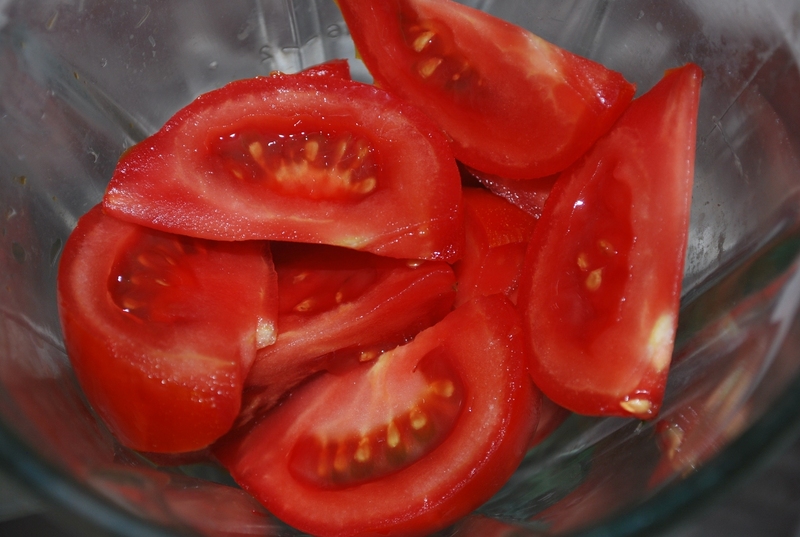 Preparation (sauce): Cut the tomatoes. 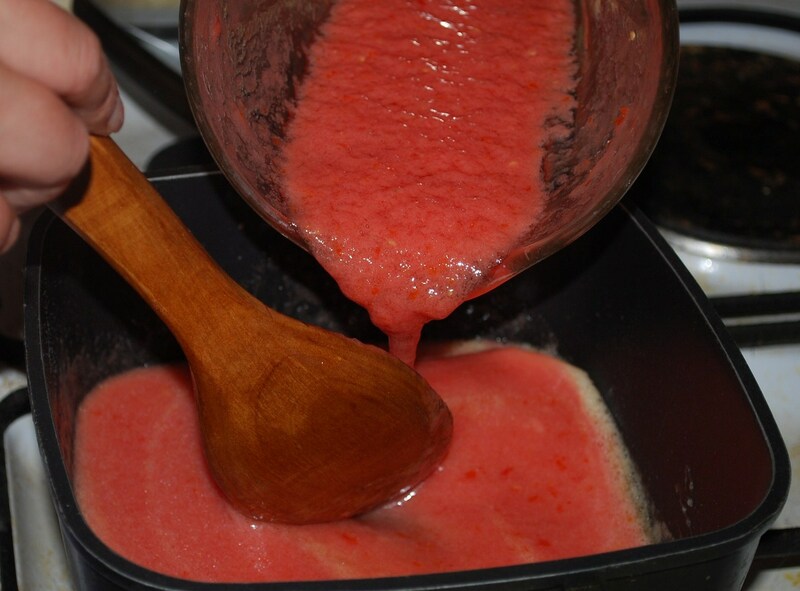 Add to a blender and blend until the tomatoes are pureed. 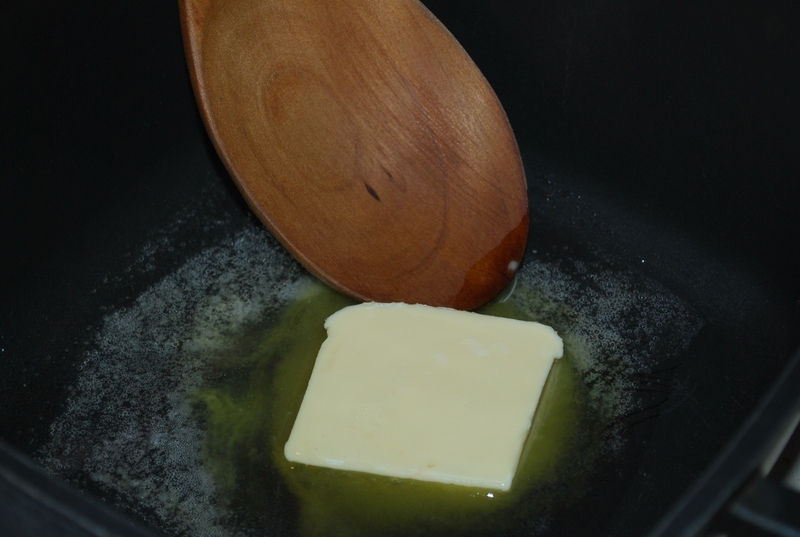 Add 40 grams of butter to a pan and heat until melted. 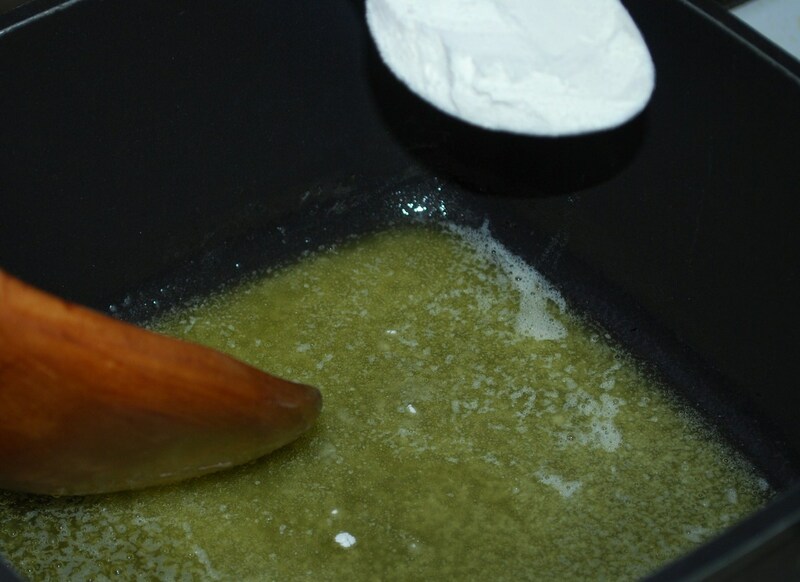 Carefully add 1 heaped tbs of white flour. Continuously stir for 1 minute on a low heat. Stir continuously whilst adding the tomato puree. Continue to stir for 2 minutes and then add 10 grams of finely chopped parsley, 1 tsp of red pepper (or 1 thinly sliced hot red pepper), half tsp of black pepper, and salt (amount dependent upon personal preference). 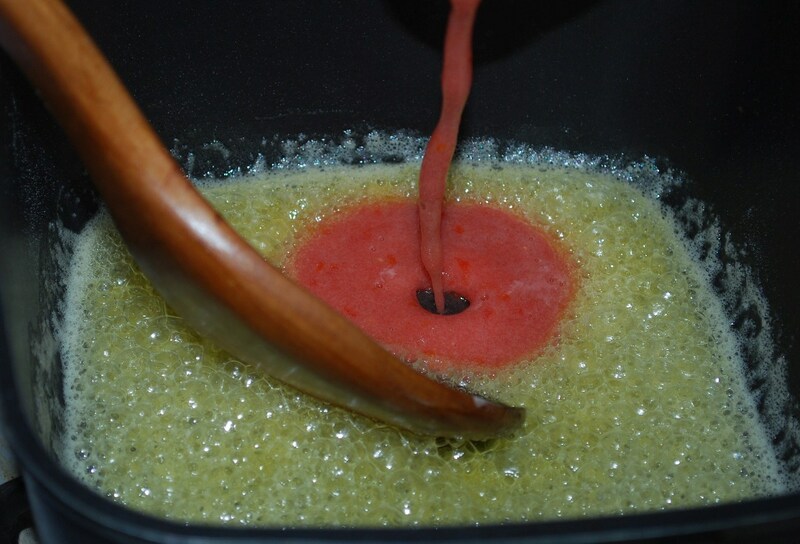 Stir thoroughly and continue to cook at a low temperature for 2 minutes and then remove from the heat. 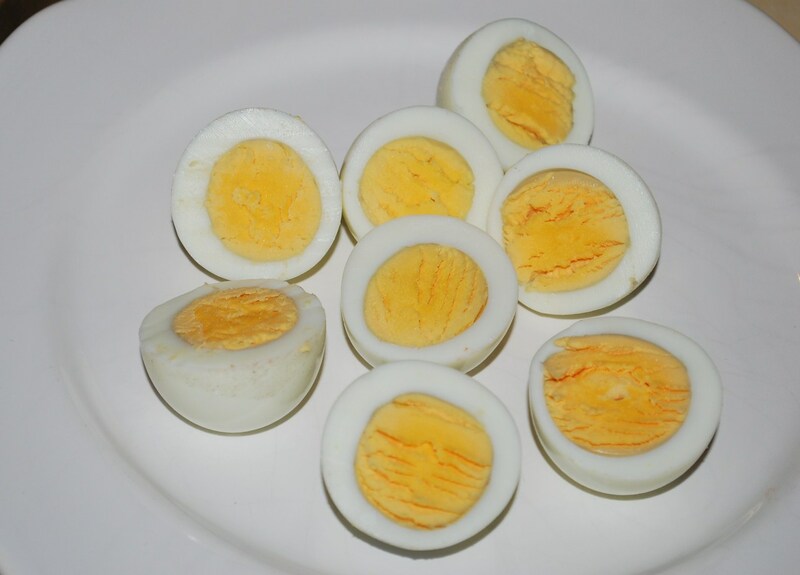 Hard boil 4 eggs and cut in half. 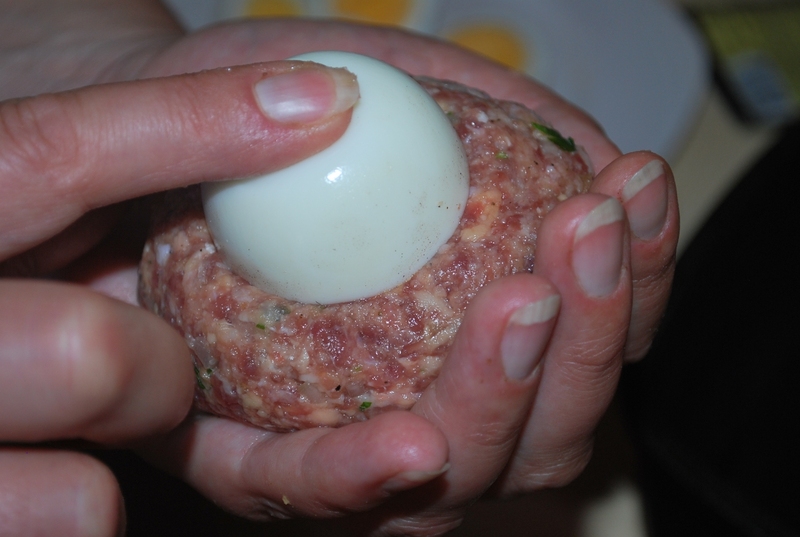 Use your hands to mold the minced beef into 7-8 ball shaped portions. 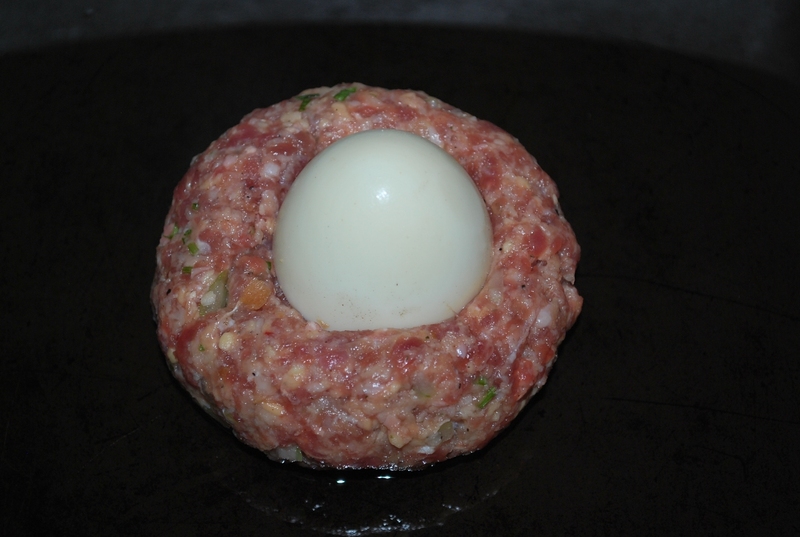 Add half an egg to each of the portions, pressing firmly. 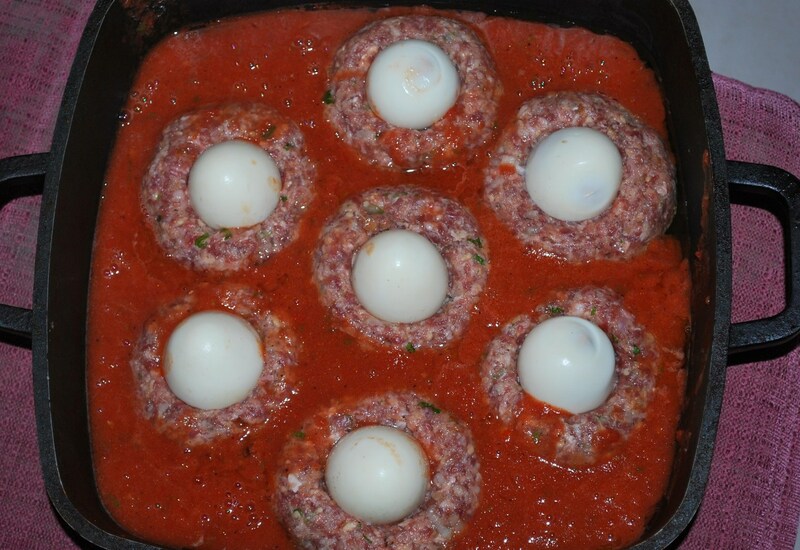 Each meatball should look like the picture below. 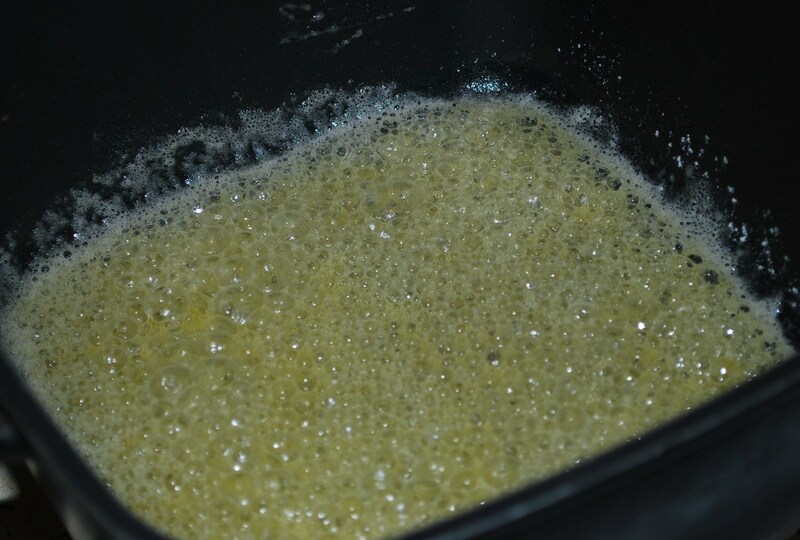 Add the meatballs to a pan containing 4 tbs of oil. 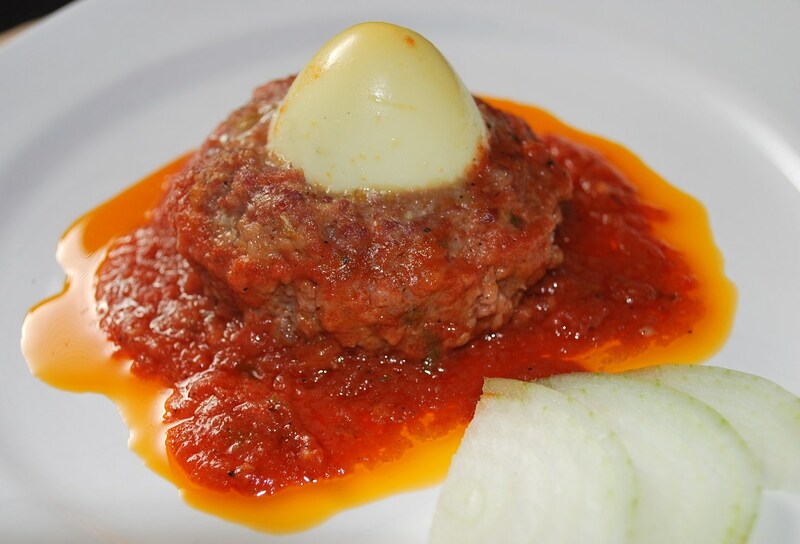 Add two thirds of the tomato sauce and cook (covered) in an oven for 30 minutes at 180 C.
After 30 minutes, add the remaining one third of the tomato sauce and continue to cook for a further 15 minutes. 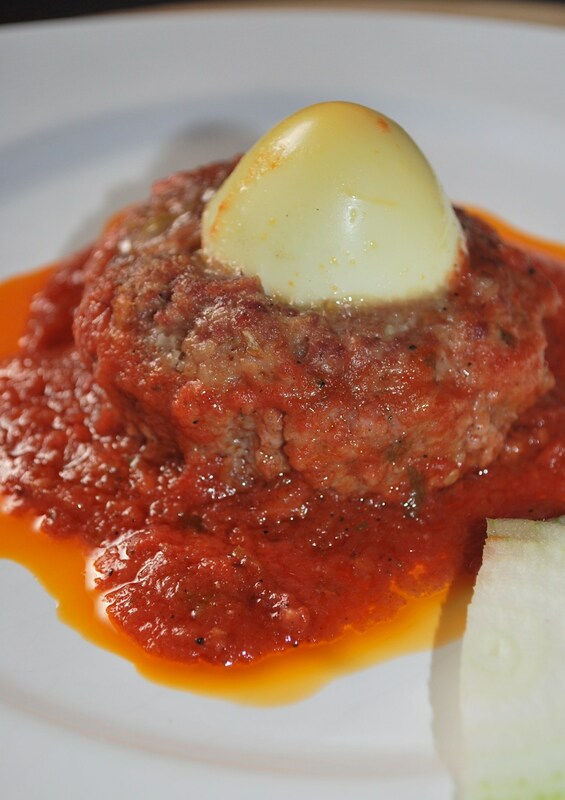 Enjoy your Ossetian Meatballs in Tomato Sauce! So cool with the eggs and obviously delicious.